High quality stabilized wood combines well with impressive bottom feeding design to make Arctic Dolphin Amber a fantastic squonk mod. Powered by a single 18650 battery, it supports a high-performance full power. 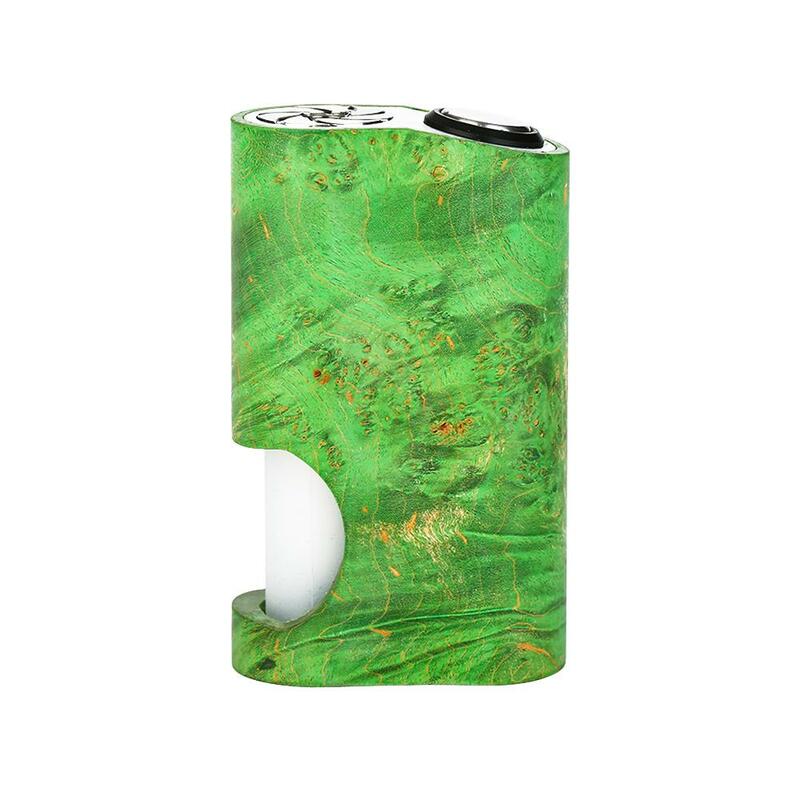 Made of top-notch stabilized wood, Arctic Dolphin Amber is a durable mod with unique and exquisite appearance. Powered by a single 18650 cell, it supports a high-performance full power. The top fire button is comfortable to operate. Under the trend of squonking, Amber also adopts impressive bottom feeding design. You can pair any BF RDA with it to enjoy the amazing squonk fun. Along with a 510 thread and a 7ml food grade silicone bottle, Arctic Dolphin Amber is an unparalleled squonk mod to collect. • 510 thread and it doesn't come with 18650 battery, you need to buy separately. • The Stabilized Wood/ Resin material has its own unique psychedelic pattern. We could not guarantee the product has the same pattern as that in pictures. We can only ship orders randomly. Thank you for your attention and understanding. The material is incredible... really nice mod ☺️ But the color... it doesn’t look like the pictures..
Macht einen soliden und sehr guten Eindruck, funktioniert einwandfrei und Arctic Dolphin Amber Stabilized Wood ist einfach in Betrieb zu nehmen und zu bedienen.